BILL LEAVENGOOD is a nationally awarded, two-time Eugene O'Neill playwright whose work has been produced Off-Broadway as well as regionally. He is the recipient of the Edith Oilver Fellows Award, Brodkin Scholarship, Berilla Kerr Foundation Grant and an Individual Artist's Grant in Screenwriting from the State of Florida. 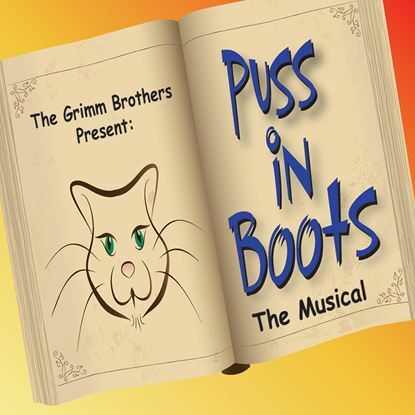 In addition to THE GRIMM BROTHERS PRESENT: PUSS IN BOOTS, Mr. Leavengood has written eight other plays for young audiences which have been seen by over a million students in the Northeast. RICK CROM is a songwriter, actor, and comedian living in New York City. He won the MAC award for best musical revue for his "Our Life and Times Revue". As an actor he has appeared in several Broadway shows and as a comedian he's been featured on Showtime, Comedy Central, MTV, and A&E.